Whether you're celebrating the new year with a sunny vacation or lounging around in some comfy pajamas at home, don't forget to set an out-of-office reply to let your customers know when you're coming back! Here are three ways to accomplish this. 1. Set up a vacation responder 📝. 2. Create an out-of-office rule for your own inbox. Check out Front's Rules Directory. 3. 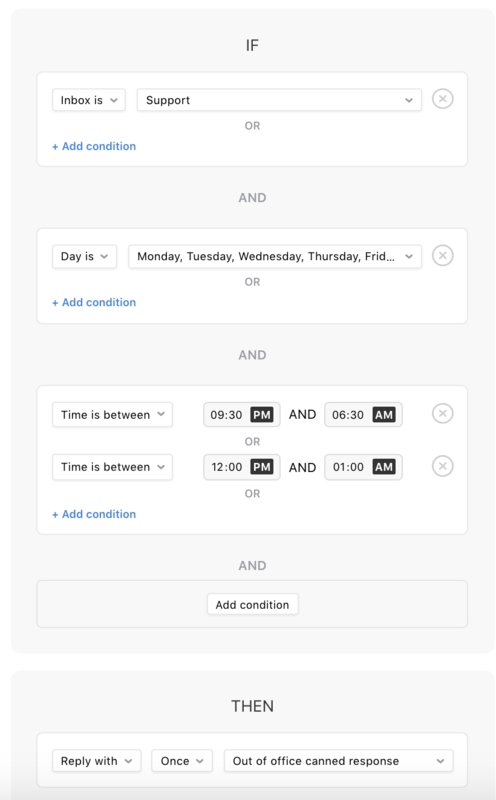 Create an out-of-office rule for a team inbox 📪 . Note: only admins can create rules for team inboxes, but team members can create rules for their individual inbox.